DIOCESAN | BISHOP RICHARD D. HOWELL, JR.
Bishop Richard D. Howell, Jr. has been the Pastor of Shiloh Temple International Ministries since 1984, which is the same church his grandparents Reverend Howard and Sister Mattie Smith founded in Minneapolis in 1931. From his youth, he has served in just about every capacity in ministry on the local level, as the call of God was in his life to serve in the ministry years before his pastorate. Bishop Howell holds a Bachelor’s Degree in Pastoral Studies from North Central Bible College in Minneapolis, and a Masters of Arts Degree in Counseling Psychology from St. Thomas University in St. Paul. In August 2010 he was awarded an Honorary Doctorate of Divinity from Aenon Bible College, Indianapolis, IN, he received his Doctorate of Divinity from Friends International Christian University in 2005, and was awarded an Honorary Doctorate of Divinity from St. Thomas College, Jackson, Florida in 2003. Bishop Howell recently accepted a position on the Board of Regents with St. Thomas College, Minneapolis, MN, he also received an Honorary Doctor of Divinity in October 2013 from St. Thomas College, Minneapolis, MN. Bishop Howell has worked in management for the U.S government and for Job Corps of America in St. Paul, MN. He has received several awards and appreciations recognizing his work in the community including an appreciation from The National Institute on Media and the Family; and the 2000 Recognition and Appreciation Award for his contribution to education to the State of Minnesota by the James Meredith Institute; a Pastoral Recognition article in the Upscale Magazine, for the Affluent Lifestyle in 2000; and an award in recognition of his dedication and leadership in service to justice in Hennepin County from the Hennepin County Attorney’s Office. Bishop Howell is currently on the Hennepin County Sheriff’s Advisory Board, the Minneapolis Urban League Board, and the Minneapolis Foundation Board. Bishop Howell is the Diocesan over the 7th Episcopal District of the Pentecostal Assemblies of the World, Inc., which is the Minnesota, Wisconsin, Dakotas District Council (MWDDC), and the diocese in which he has served as District Superintendent, District Youth President, General Body Council Chairman, District Elder, and Suffragan Bishop. 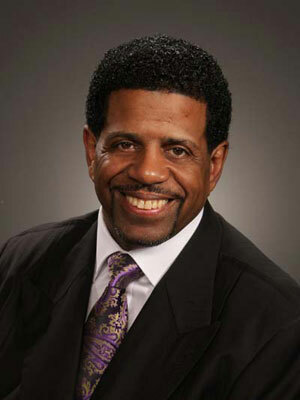 He currently serves on the Executive Board of the Pentecostal Assemblies of the World, Inc. He is the author of “Possessors of the Kingdom,” which was published in 2008 and “Faith In Action” his newest publication. Bishop and Mrs. Bettye Howell have two grown children, Richie (Michelle) Howell and Dr. Andrea (Felix) Langford, and seven grandchildren, Carmen, Harmony, Avery, Jeremi, Sydney, Felix, III., and Richard Dyson the IV.